As companies around the world digitally transform their business models, operations, and corporate cultures, many have rolled out cloud and mobile technologies that have also transformed the employee experience. For information workers, technology has created a more networked and open flow of information, made collaboration easier, and provided more flexibility in where, when, and how they work. But there’s another large and important segment of the workforce that has been underserved by technology to date. 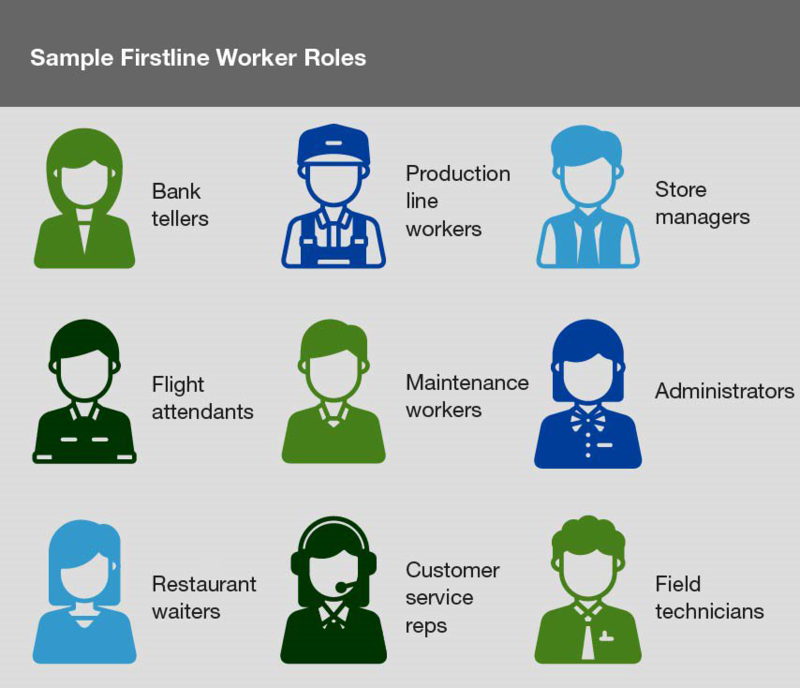 These are the more than two billion Firstline Workers worldwide, who work in roles that make them the first point of contact between a company and its customers or products. Firstline Workers comprise the majority of the global workforce and play a critical role in the global economy. 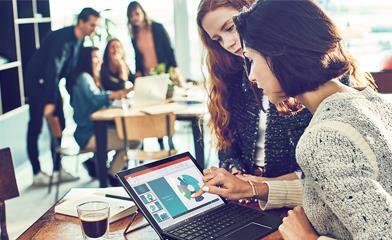 At Microsoft, we believe it should be a top priority of company leaders to empower employees in all roles to do their best work, and that a digitally enabled workforce represents a true competitive advantage. Firstline Workers outnumber other corporate workers 4–1 in industries such as hospitality, manufacturing, retail, and healthcare. We recently commissioned Forrester Consulting to conduct a study on the potential impact of providing Firstline Workers with technology. The study, titled Equip Firstline Workers With Better Tools To Drive Engagement was released today. Forrester surveyed 304 manager-and-above decision makers and 301 Firstline Workers at companies in the U.S., U.K., Germany, France, and Canada. The companies span the retail, healthcare, government, and financial services industries and range in size from 500 to more than 20,000 employees. The study offers strong evidence that by empowering Firstline Workers with modern tools, businesses can improve the customer and employee experience, enhance workforce productivity, and improve the bottom line. But while 77 percent of Firstline Workers agree or strongly agree that technology is important to their roles at work, this segment of the workforce is often left out of enterprises’ digital transformation investments. In fact, the study revealed sizeable gaps between the perceptions of management and the actual experiences of Firstline Workers. Only 23 percent of Firstline Workers strongly agree that they currently have the technology they need to be productive, yet 50 percent of managers say they feel the tools they offer make employees’ jobs easier and/or more satisfying, enough to be considered a competitive perk. Provide tools that support a mobile workforce. Firstline Workers such as retail associates, flight crews, and field service workers are mobile by nature of their jobs, but their most important tools often aren’t portable, and management doesn’t realize it. Less than half of the Firstline Workers surveyed agree that the tools they use do a good job of allowing them to be mobile, whereas 75 percent of managers feel the tools they provide do a good job of this. Enable digital communication and collaboration. Many Firstline Workers rely on their coworkers, managers, and even customers for information and guidance throughout the day. They need modern tools that simplify collaboration, communication, and access to information. Nearly half (46 percent) of Firstline Workers surveyed indicated the ability to work collaboratively with teammates as the primary capability required to do their job. Boost Firstline Workers’ access to data and artificial intelligence (AI). AI and business intelligence tools are increasingly being used by information workers to automate manual tasks and deliver data insights. But only 30 percent of Firstline Workers report having access to a predictive tool, and only 21 percent have access to a digital assistant. Such tools can help Firstline Workers do their jobs more efficiently and effectively and automate certain activities so employees can focus on higher value work—like delighting customers and solving more complex business problems. At Microsoft, we have always believed in people’s ability to adapt and innovate. As part of our mission to empower people and organizations to achieve more, we also believe in the power of technology to amplify what humans can do. That’s why we are building new capabilities in Microsoft Teams that are tailored to helping Firstline Workers manage their workday, access information to do their job more effectively, and easily share insights and communicate with others. Stay tuned for more from us on this front in the coming months. Learn more about how Microsoft 365 and Teams can help you maximize the impact of your Firstline Workforce and read the full Forrester report.